And she’s not wrong Miss Ricci, 2017 has become a year of two all encompassing obsessions for me and, unfortunately for you, if you follow me on social media you will know all about them! The first one was running. Even though I have been a frequent visitor to the gym for the past two decades, I could never get along with running. This all changed in January when I was persuaded to try road running and I haven’t looked back yet. Despite the occasional injuries I now run approximately 40 kilometres a week and this has been dangerous for my body. The second one was my re-introduction to collecting vinyl and I can lay the blame for that squarely at the feet of Chris Topham, vinyl expert and sometime Virgin Airlines Captain. From the day he asked me if I would be interested in reviewing some vinyl releases on his Plane Groovy label I have been hooked and this has been extremely dangerous for my bank balance! 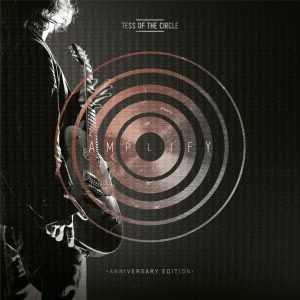 The latest release to get the Plane Groovy vinyl treatment and for me to review is the 2017 anniversary vinyl edition of ‘Amplify’, British rock sensations Tess Of The Circle’s 2016 release. 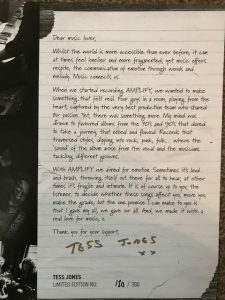 Tess Of The Cirlce is a British independent band that focuses on the songs of male songwriter Tess Jones and a collective of participating musicians. 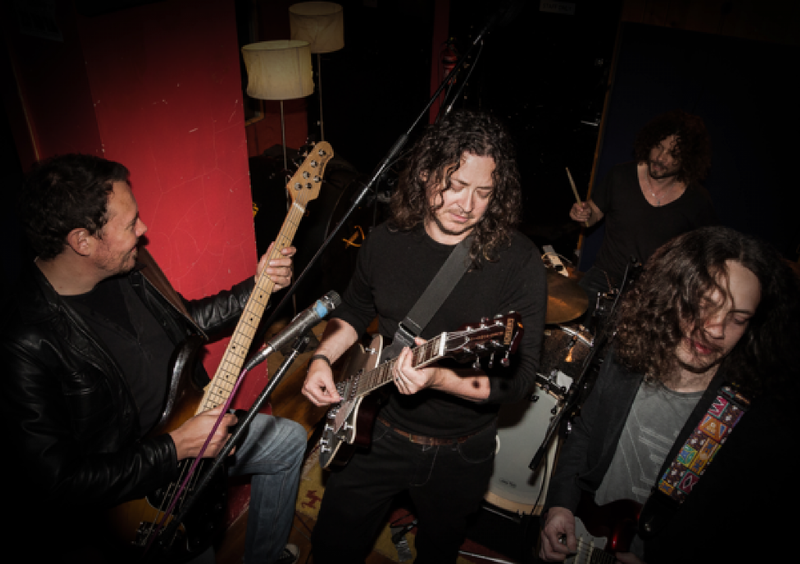 With a new line up for 2015/16, ‘Amplify’ was released on 22nd April 2016, giving shades of 70’s rock fused with hints of post-grunge and alt indie. This was a follow up to 2013’s acoustic rock E.P. ‘Thorns’ and Tess was joined on the new release by returning lead guitarist Lee Clifton and new members Ben Drummond (bass), Paul Stone (drums) and Ange Loyd (backing vocals). 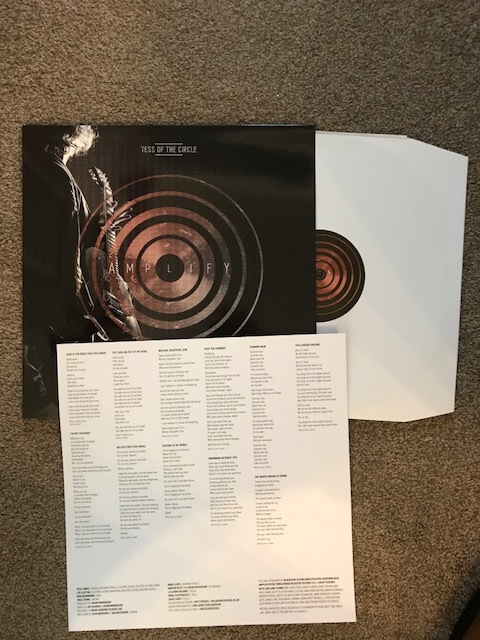 “We are thrilled to bring this record to vinyl after so many requests for it at gigs and festivals”, Jones says, “I hope the release satisfies existing fans as well as being a perfect opportunity to introduce us to music fans who may have missed out on us the first time around!”. 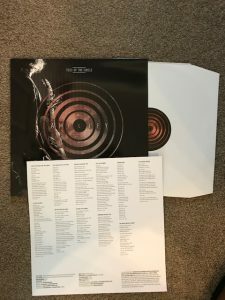 Once again, the quality of the package is incredible, the vinyl release is initially limited to 300 copies which are all individually numbered and signed by Tess Jones. 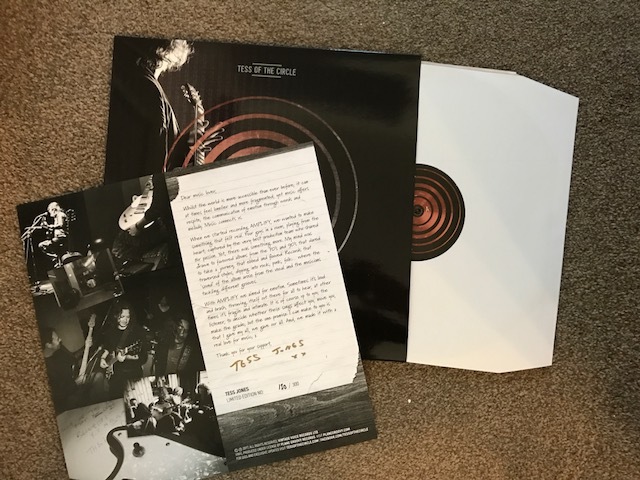 The unique artwork for the album cover and reverse is both simple and yet striking and the 180g heavyweight vinyl itself comes in a plain white slipcase with accompanying numbered and signed lyric and credit sheet. 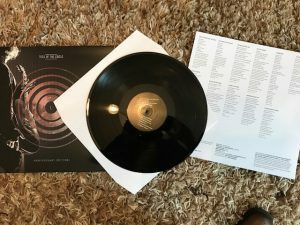 It all adds up to yet another impressive vinyl release from Chris and what we have come to expect from Plane Groovy. A thunderous celebration of all that’s British about hard rock, it is an absolute monster of a song and I get the feeling that the band are having an absolute blast of a time playing it. It never lets up with its intensity and dynamic confidence, a powerful statement of intent for sure. A calmness pervades with the gentle guitar opening to Believe (Into Her Arms), a much more pared back track, you can feel the honesty in Tess’ impassioned vocal as the needle tracks the grooves on the vinyl, it’s almost painful in its intensity. The assured delivery of Paul’s drums and the stylish bass playing by Ben add real class to this winsome song and it actually gives you chance to get your breath back after the energetic and compelling rock of the first three tracks. There’s hints of indie, Americana and country-rock running all the way through and the guitar playing is just sublime, as things come to a close let the final notes wash over you and enjoy the silence. 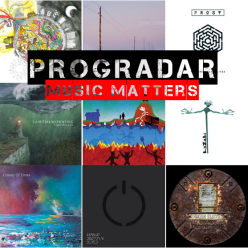 Edgy, funky and in your face, the dynamism returns with the full on ferocity of Mother, Daughter, Son, an exuberant, devil-may-care thrill ride of jangling guitar riffs, frenetic drums and Tess’ irascible vocal. A song that just won’t let you sit still, it grabs you by the hand and invites you to join the joyous chaos, just under three minutes of unadulterated punk rock infused fun. And that’s the rambunctious and rowdy close to side one. as the needle tracks the final grooves I find a huge grin on my face and that’s what music like this is all about isn’t it? A quick recharge of the glass and it’s time to flip the record over and listen to side two. 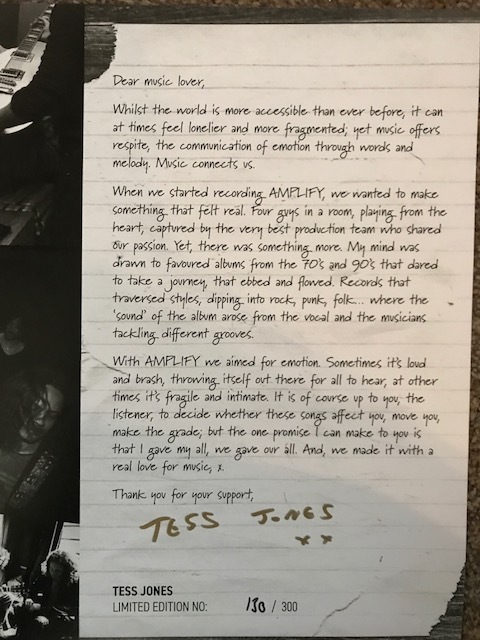 Tess himself thinks that Digging At My Bones is the most ‘proggy’ track on the album and as the first notes ring out clearly I can almost see where he is coming from. There’s tension and fervor in the first words that he sings and the guitar has more keenness and emotion and they combine to give intensity and an edge that wasn’t there before. The whole instrumentation has more complexity and yet still retains that hard rock tinge and it’s a very palatable concoction. The bass playing is involved and the drums seem to have a life of their own and everything joins together to give a real meting pot of influences and a great song. 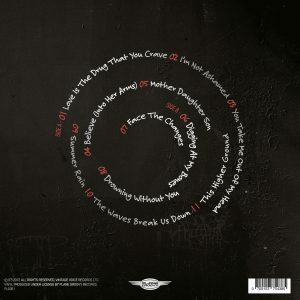 Face The Changes is a much more straightforward track that has its roots in the Alt Rock and grunge communities, fans of Screaming Trees will appreciate the elegantly strummed guitar and the stylish vocal delivery from Tess and the backing vocals add another layer of polish to what is already a classy track. 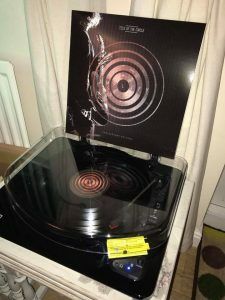 The bass and drums provide the foundations on which the whole song can build, turn up the volume and just listen to the nuances that you get from the vinyl as they come through your speakers, yet again this impressive band deliver. And now for something deliciously dark and dirty, the tuned down guitar note that opens Drowning Without You is inspired, Chris Isaaks meets The Doors down a back alley for a guitar slinging duel and the product of that encounter is utterly irresistible. The repeated riff is an utterly addictive earworm and just adds a dark humour to this really funky track. The tense vocals have a hint of menace and the swirling solo adds complete theatre, you can imagine this being played live in a darkened, underground club in the backwaters of America, it really is hauntingly memorable. Sit back with glass of something dark and soak in the atmosphere, you just wouldn’t get that from a digital file. The guitar tone ventures even more into Mariachi inspired Doors territory on Summer Rain, an earnest, sincere song with a stark feel to it and Tess sings in almost subdued manner, his vocals becoming more heartfelt on the stylish chorus. The keyboards, guitar, drums and bass really do scream The Doors at me and it gives a real cultured timbre to the music. Definitely not the most joyous of tracks but the grave and sorrowful aura works really well delivering a sombre and wistful piece of music that leaves you in a contemplative mood. Hauntingly beautiful and simply ethereal, The Waves Break Us Down relies on the sparse instrumentation of acoustic guitar and delicate, ghostly strings and the stark, earnest quality of Tess’ vocals and it delivers perfectly, leaving me with goose pimples and a tear in my eye. The acoustic guitar, expertly strummed and the honest vocals with an emotional catch in them herald the opening lines of the final track, This Higher Ground and it is a brilliantly pared back and folk infused ballad. The uncomplicated purity of the music comes through perfectly on vinyl, as it was intended to be. I’m a real lover of strings and their unadorned innocence adds another layer of integrity and clarity to this refined and simply wonderful song. As the needle reads the final grooves and the album comes to a close I feel at peace and utterly calm inside, once again music making my world a fantastic place to be in. To put it simply, ‘Amplify’ is an incredible album, a brilliant fusion of musical styles over a hard rock foundation. 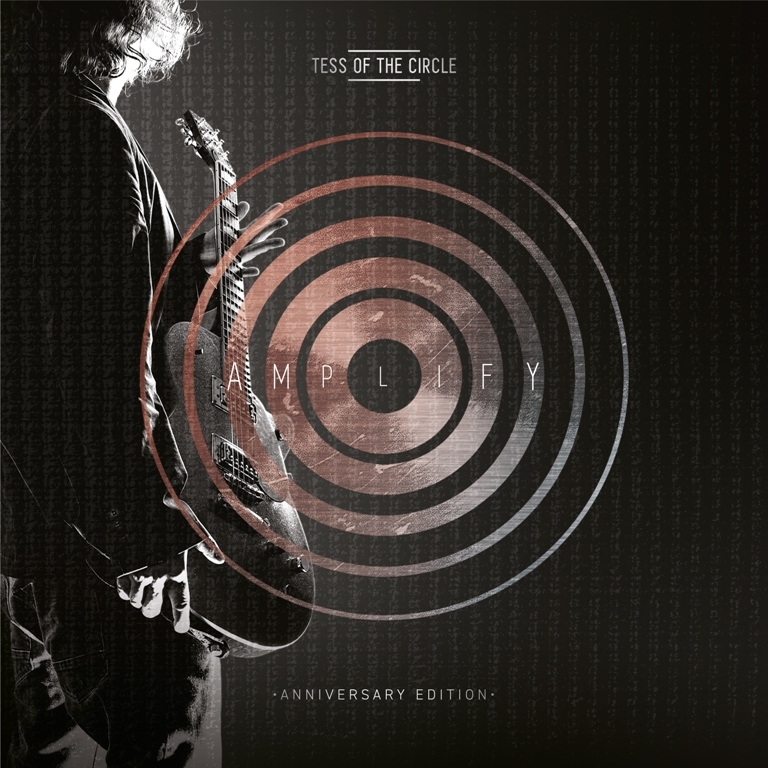 Tess Jones looks deep inside himself to deliver songs of heart and soul that are delivered with utmost emotion and incredible skill by this superb band, Tess Of The Circle. All of this is lifted several notches by the vinyl listening experience which brings something almost primal to the party. A compelling release that must become part of any vinyl lovers collection. Exclusive two week advance release on 29th May 2017 through Burning Shed.